There is nothing more fun than a party or corporate event with games. Party game rentals are the perfect way to get your guests to mingle and engage in a little friendly competition! Whether it’s classic arcade games, sports games like Pop-a-Shot or Air Hockey, Bowling, or even an organized game show, Mike’s Music, Inc. has you covered. 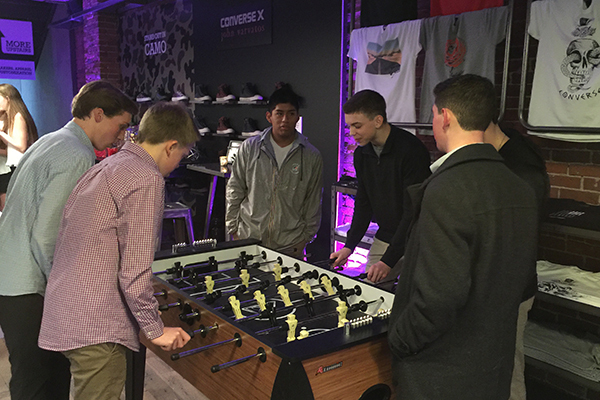 Game rentals are perfect for corporate parties, bar/bat mitzvahs, sweet sixteens, and campus activities. Many of our wedding couples even love to surprise their guests with some off-the-dance-floor fun! Whatever your event, our team will help to choose which games are appropriate for your crowd and your venue. We will plan out how to make everything fit and work cohesively in your event space. Whether you are having an event for 50 or 1,000 we can accommodate your request. 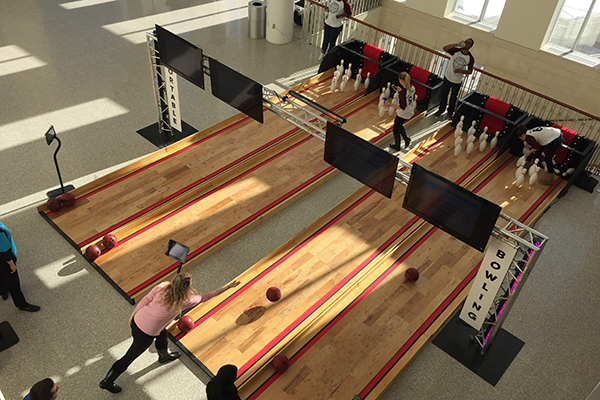 Our portable bowling has been entertaining crowds from corporate to social to school events. If you are looking for something unique at your next event, this is right up your alley! Don’t let your next party go into the gutter. Portable Mini Golf is perfect for corporate parties, private events, or school entertainment, our custom range of nine novelty holes provides guaranteed fun “fore” everyone! 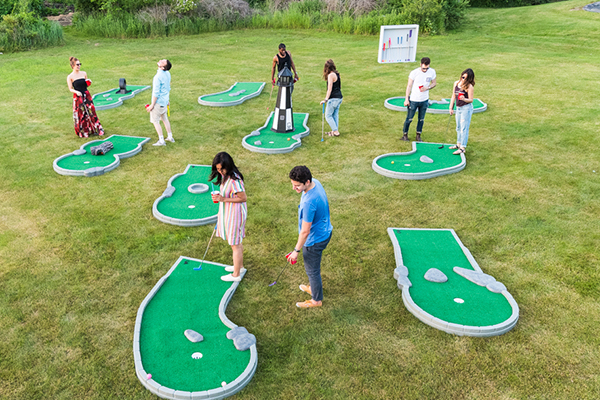 If you are looking for something unique at your next event, portable putt putt golf is the perfect crowd pleaser. Our portable mini-golf course is for all ages and skill levels. It can be installed indoors or outdoors. Each hole is custom built to full scale, varying between 10 ft and 8 ft greens. Each hole is also equipped with amusing obstacles and fun challenges including a free-standing lighthouse and classic loop-de-loop. Planning a night time event? Play GLOW Golf! We can transform our mini golf course into luminous fun with LED lighting and golf balls that glow-in-the-dark. Guests will love playing in the dark! With Glow golf, your next event is sure to be a hole-in-one!